One of the most happening places in the world, Goa attracts a huge number of tourists every year to it’s shores. Be it the exotic beaches or the annual music festivals, Goa has risen up to the ranks of the most favored party destinations in the world. But, there’s also an another side of Goa people often forget – it’s churches. Being a Portuguese colony before independence, Goa was gifted with many unique churches that adds to it’s beauty even now. If you live in Chennai and love to explore the historical as well as religious monuments, then Goa is the place for you. Here are few churches that will delve you into the beauty of the divinity. Dedicated to St. Catherine, this is one of the biggest churches in Asia. Completed in 1619 to celebrate the victory of Portuguese force over the Muslim rulers of Goa, the church took 80 years to build. One of the things that makes it even more mystical is that one of its bell tower was destroyed during a thunderstorm, giving it an asymmetrical design that is quite uncommon in the christian architecture. The highlight of this church is the 14 intricately carved altars which are visually stunning. 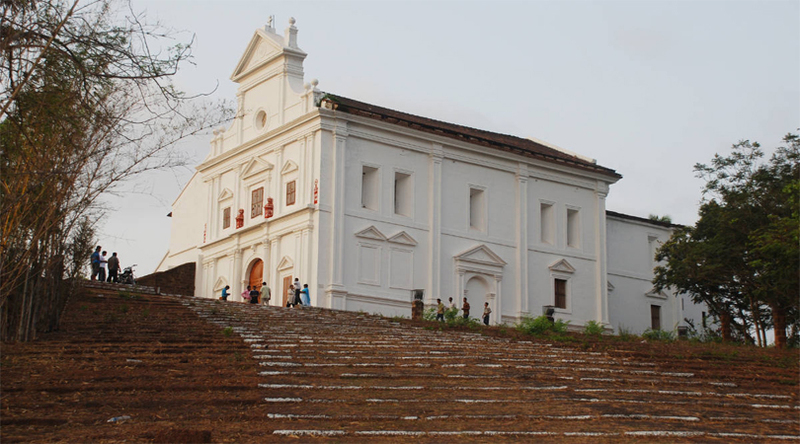 One of the most famous church in Goa, the church holds the remains of St. Francis Xavier, one of the patron saints of Goa. St. Francis Xavier died onboard a ship and it was decided that his remains to be taken to Goa and preserved in this church. What intrigues people here is that the body hasn’t decomposed even after 500 years. The body is put on display every ten years next being 2024. Built by the Greek and Italian priests, the church was seen as a norm defying institution during the 17th Century. Following the architecture of St. Peter’s Basilica in Rome, it stands in the stark contrast of other churches built by Portuguese in that era. Although, the church is quite prominent among Christians, it does not witness much tourist footfalls resulting in good preservation of the structure. Built just behind the Se Cathedral, this church gets a good footfall owing to the latter’s popularity. Adorned with paintings, the church takes one back into the time with the panels depicting the life of the St. Francis of Assisi. One must visit the seminary adjoining the this church as it has been converted into a museum holding paintings that were earlier kept in the Panaji Secretariat. 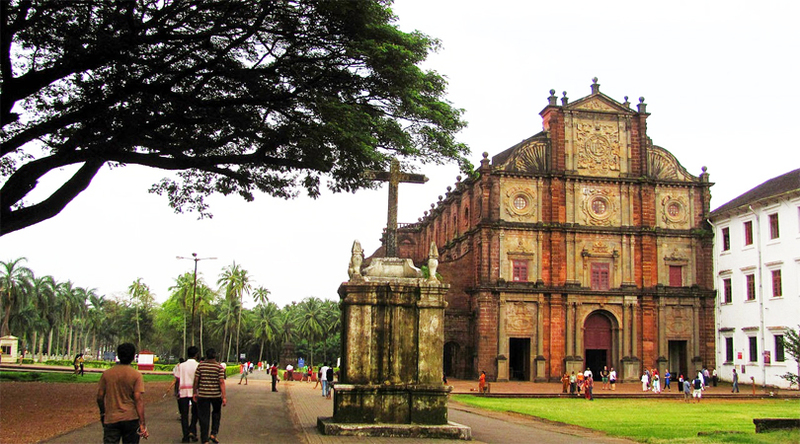 Located at the centre of Panaji, this church is one of the oldest churches in Goa. It is famous for the statue of Mother Mary keeping a vigilant eye over its inhabitants. Over 470 years old, the church was built to welcome the sailors home. Well preserved, even today the church is visited by the devout catholics to pray enroute work. Built atop a hill, the view from the top of the church makes the visit worth it. Although it does not attract many tourists, one must visit this illustrious holy church for it’s architectural beauty. With so many historical religious places present in Goa, one can experience the divine powers coming together and bless you with all you want.